I have recently installed CentOS 7 (Minimal Install without GUI) and now I want to install a GUI environment in it. How can I install Desktop Environments on previously installed CentOS7 without reinstalling it? Install GNOME Desktop Environment on here. GNOME Desktop Environment will start. For first booting, initial setup runs and you have to configure it for first time. Add online accounts if you'd like to. Finally click "Start using CentOS Linux". GNOME Desktop Environments starts like follows. 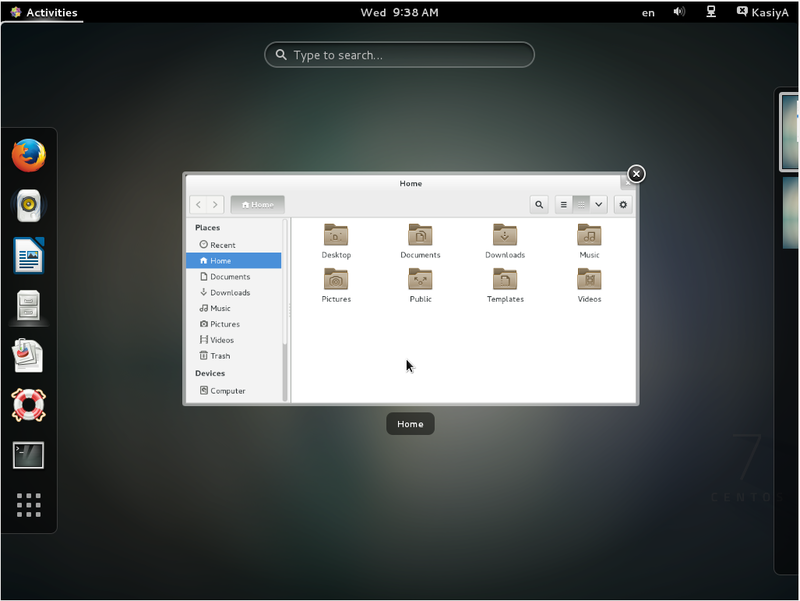 How to use GNOME Shell? 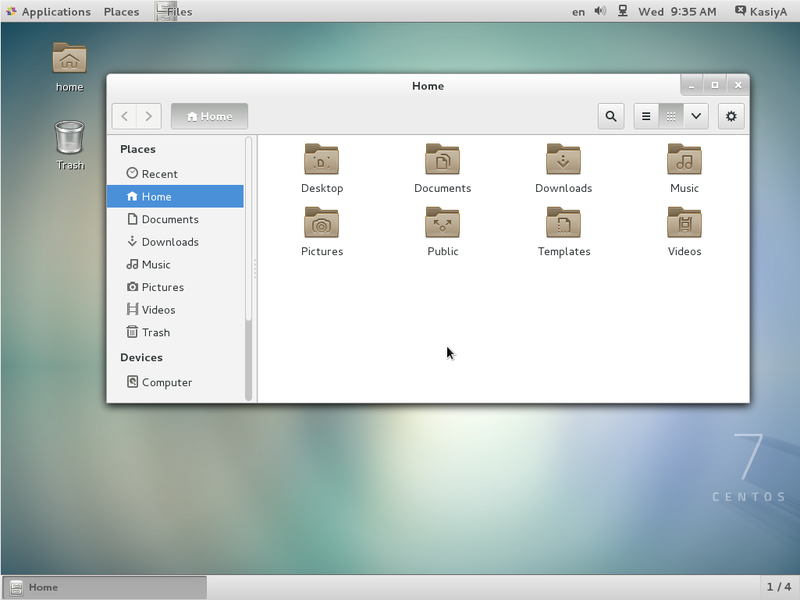 Option A: If you start GNOME with startx, set like follows. Click the button which is located next to the "Sign In" button. Click "Sign In" and log in with GNOME Shell. 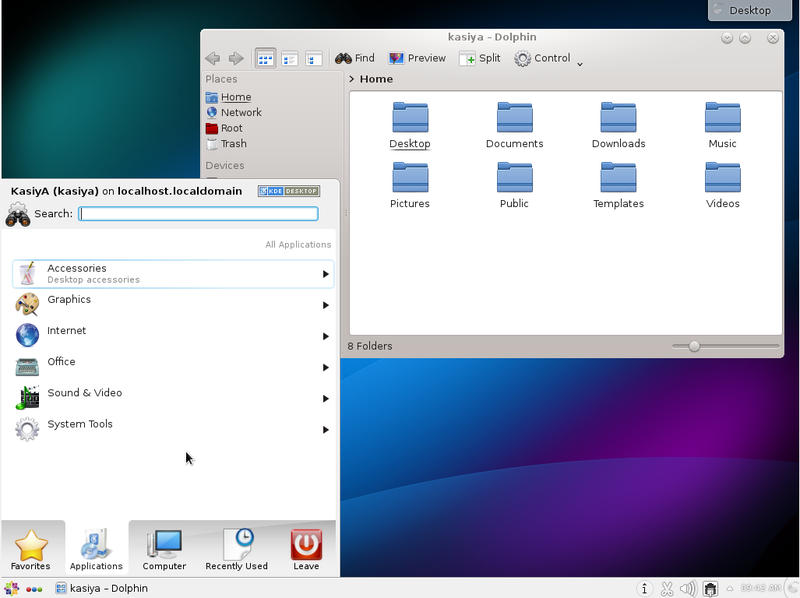 Install KDE Desktop Environment on here. How to add EPEL Repository? 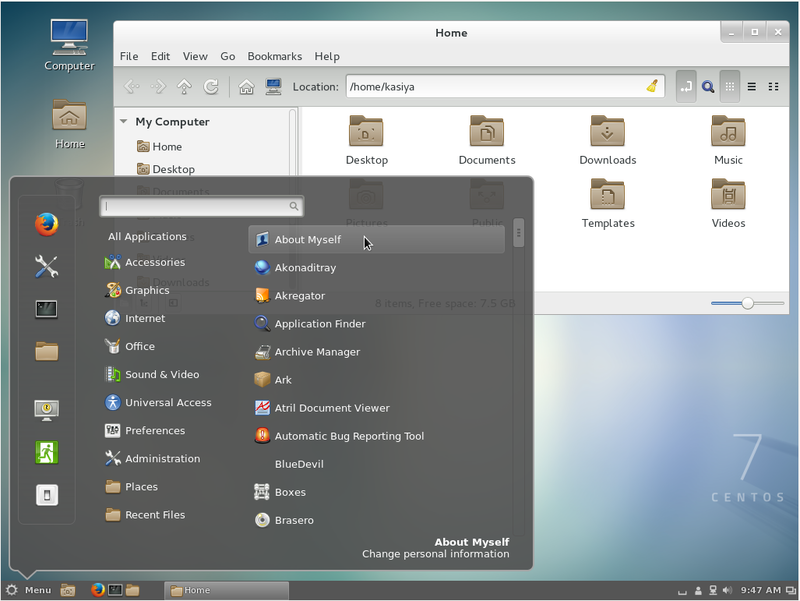 Cinnamon Desktop Environment will start. For first booting, initial setup runs and you have to configure it for first time. Cinnamon Desktop Environment starts like follows. Install MATE Desktop Environment on here (You will need to add the EPEL Repository as explained above in advance). Install Xfce Desktop Environment on here (You will need to add the EPEL Repository as like above in "Cinnamon" installation before). Rather than make use of the hacking of a startx command into a .xinitrc file, it's probably better to tell Systemd that you want to boot into a graphical GUI vs. the terminal. The last bit will associate the runlevel 5 target as your default with respect to Systemd. You can also use Systemd to accomplish this. This is arguably the better method since you're managing the state of the system directly through Systemd and its CLIs. In Systemd the targets runlevel5.target and graphical.target are identical. So too are runlevel2.target and multi-user.target. 0           runlevel0.target, poweroff.target     Shut down and power off the system. 1           runlevel1.target, rescue.target       Set up a rescue shell. 2           runlevel2.target, multi-user.target   Set up a non-graphical multi-user system. 3           runlevel3.target, multi-user.target   Set up a non-graphical multi-user system. 4           runlevel4.target, multi-user.target   Set up a non-graphical multi-user system. 5           runlevel5.target, graphical.target    Set up a graphical multi-user system. 6           runlevel6.target, reboot.target       Shut down and reboot the system. yum -y groupinstall "X Window System" "Desktop" "Fonts" "General Purpose Desktop"
Not the answer you're looking for? Browse other questions tagged centos gui desktop-environment or ask your own question. 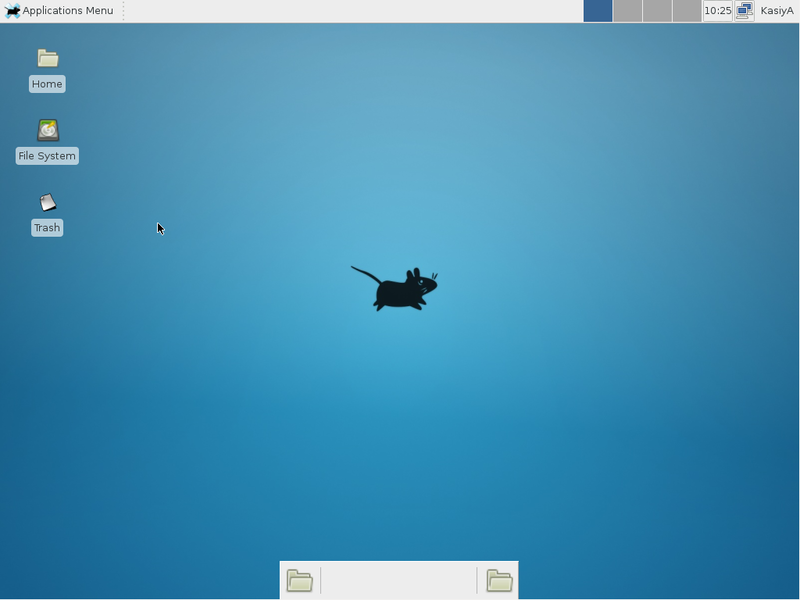 how to fix install gnome desktop in CentOS 7? Switch between Gnome and Cinnamon on CentOS 7? CentOS 7, VirtualBox, openmpi installation breaking GUI. Why? How to add a GUI to a minimal install of CentOS? “yum-config-manager --disable <repoid>” How to get repoid for centos 7? Debian 9 LXQt: Required packages for minimal possible desktop installation?